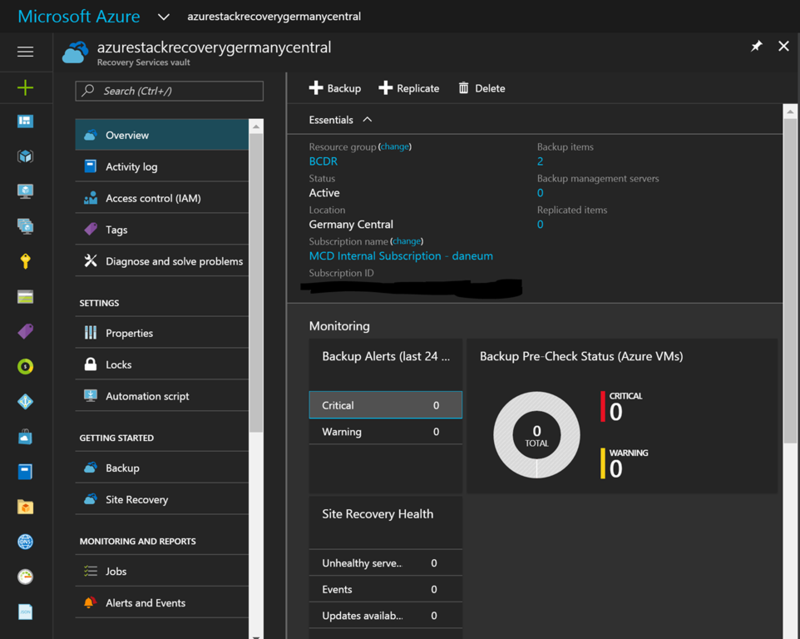 Since today the Recovery Services vault for Azure Backup and Azure Site Recovery is available in Azure Germany. 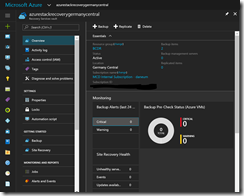 Just hit the Azure Marketplace in Azure Germany select the Monitoring + Management section and select Backup and Site Recovery (OMS). Select your favorite region Germany Central or Germany Northeast and deploy the Recovery Services vault. After the successful deployment you are ready to leverage the Azure Backup or Azure Site Recovery capabilities in Azure Germany. This entry was posted in Azure and tagged Azure Site Recovery, Backup, Cloud, Disaster Recovery, Microsoft Azure, Public Cloud on 4. May 2017 by Daniel.